In danger of being left behind, the Renault Kangoo Maxi has finally joined the light van convoy of the likes of the Citroen Berlingo, Fiat Doblo and Volkswagen Caddy with the addition of an automatic transmission. 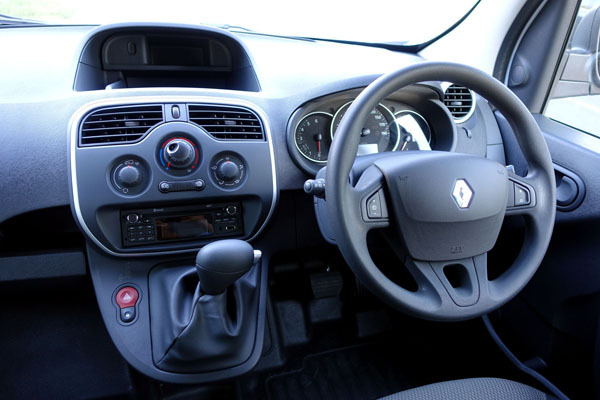 This will be good news for the Kangoo driver, who until now has spent his or her time constantly shifting gear in heavy traffic or hilly going. I continue to take my hat off to the city van driver, who until now and the auto upgrade, deserved better. 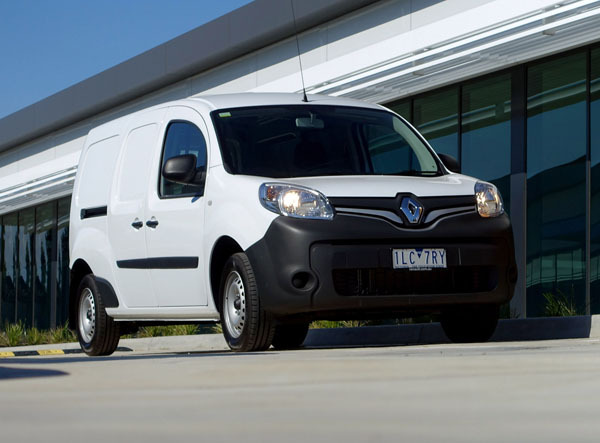 The Kangoo Maxi 1.5 turbo-diesel on test comes to market at an attractive $29,990, plus on-road costs, a $3000 premium over the manual model. A three-year 200,000 kilometre warranty adds further appeal for the cost-conscious operator. Styling is in line with the manual Kangoo Maxi, with an upright stance, snub nose and absence of sharp edges. Not that the soft looks detract from the character of a business-like cargo carrier. A robust front with bold horizontal chrome work and maker’s badge as a focus announce the arrival of an unmistakable Renault. Wide, easy sliding doors on both sides make for convenience when loading in confined spaces. Asymmetric opening rear doors offer quick access. Inside is plain but far from sparse looking, with the Renault’s centre dash dominated by the air-conditioning outlets and controls. A nice touch is that the fan and temperature are integrated in one large knob; it’s easy to reach and simple to operate. The downside, literally, is the positioning of the audio system below the air-con set-up. It’s a fair shift of the eyes off the road to read and switches are small and fiddly. Seats are firm and offer some side support on quicker corners. Upholstery is light and modern, as are all cabin surroundings. However, grime could be a factor in looks a few years down the track of heavy work. An echo of yesteryear comes from an audio system with AM / FM radio, MP3, even a CD player, and steering wheel-mounted controls. Sound quality is pretty good. There is Bluetooth hands-free connectivity with audio streaming, USB audio input and 3.5 mm Aux jack. There’s also a 12V auxiliary power outlet. R-Link Enhanced Navigation and Audio pack, at $890, can add a rear-view camera, satellite-navigation and colour touchscreen. The 1.5-litre turbo-diesel engine leaves maximum power of 81 kW until well into the rev range at 4000 rpm, while top torque of 240 Nm comes in at a relatively low 1750 rpm. The six-speed dual-clutch automatic transmission is well matched, moving through the rev range smoothly, even in stop-start city traffic, which is good news for the hard working driver. The Kangoo Maxi features a dual front airbags, anti-locking brakes with brake assist, electronic stability program and hill start assist. The dual clutch unit is well in touch with the 1.5-litre turbo-diesel unit, offering smooth changes at or around the 1700 rpm mark under varying load and road conditions. The maker’s claim of fuel consumption of 4.7 litres per 100 kilometres on the combined urban / highway cycle was pretty much borne out by the test vehicle’s recording 6.0 litres in city driving and 4.1 on the open road with a light load. There’s plenty of glass up front so driver visibility is good. However, in my case (of average height) the view through the windscreen sadly went west with the setting winter sun, the sun visor not deep enough to shade my eyes from the blazing ball low in the late afternoon sky. A potential hazard here, especially in stop-start traffic. 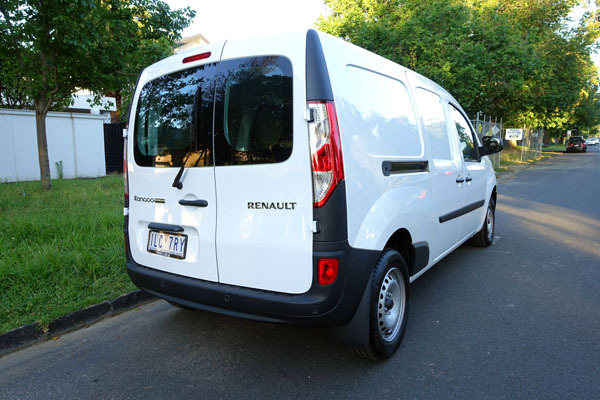 Ride and handling is good for a commercial vehicle, the Renault Kangoo offering a smooth ride on rocky roads with cornering only improving as cargo was loaded up. There was some drumming from the rear, especially when empty. The solution? Turn up the radio. Handbrake handle with horizontal grip does get in the way when using the centre-console cup holder. Rubber mats mean minimum in-cabin cleaning chores. The four cubic metre load space will take a standard Australian pallet with up to an 830 kg payload. Fourteen tie-down points keep potentially wayward cargo on an even keel. Towing capacity is one tonne. From the company that has been the maker of Europe’s number one van range 18 years in a row, it’s been an uncharacteristic slow take-up of the auto gearbox. Now the Kangoo Maxi is back on track to take on the best in class. Note: These prices do not include government or dealer delivery charges. Contact your local Renault dealer for drive-away prices.